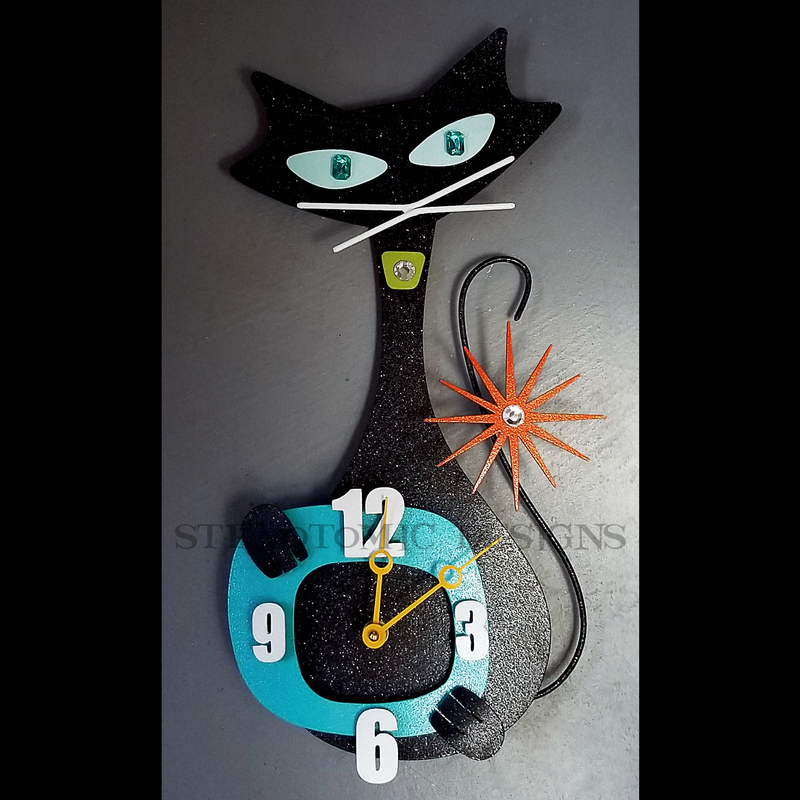 19 1/2" x 8 1/2" w dimensional steel cat clock. Made to order so slight variations can occur. Clock runs on one AA battery. Designed for interior use. Hangs with to picture hooks. Colors can be requested, just contact me. Gemstones may vary per inventory.